02/23/2018 02/22/2018 by River T.
Close Your Eyes is one of the scariest indie horror games I’ve played this year. And even though I hate indie horror, this one had a lot of good reviews so I had to give it a try. I’m always up to see what indie devs are up to next to raise the bar of indie horror. Close Your Eyes is exactly what it sounds like. It’s another indie horror adventure game, but instead of running away or toggling switches and levels, your only way to save yourself from the monster is to simply close your yes. No weapons. No hiding. No nothing. But then again, when your eyes are closed, that leaves you vulnerable to the environment (and monsters). I mean, when you garner the bravery to open up your eyes again, who knows where the monster went? Behind you? To your side? Directly in front of your face? That’s why this horror game is so freakin’ freaky! You can only see the bare outlines of the environment when your eyes are shut. Whether or not you see monsters is something you’ll have to find out. You have to go through an abandoned research lab that looks like something out of old-school Silent Hill or Resident Evil. 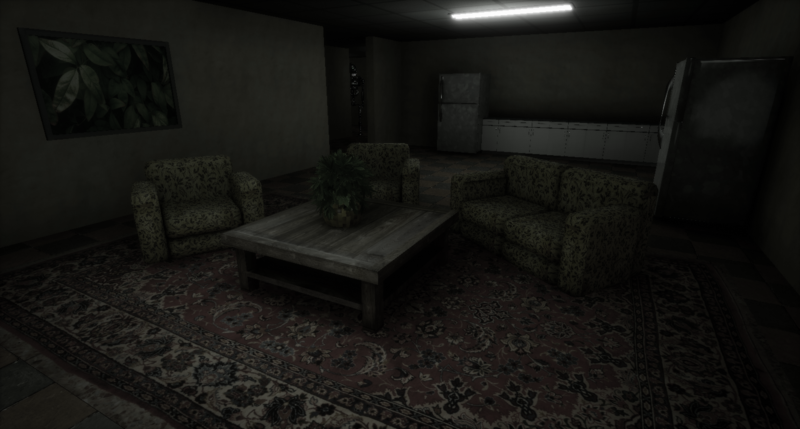 The environment is super creepy- complete with dilapidated structures, rotting walls, and weirdly out-of-place items. It’s not really abandoned though as you’ll soon find out! 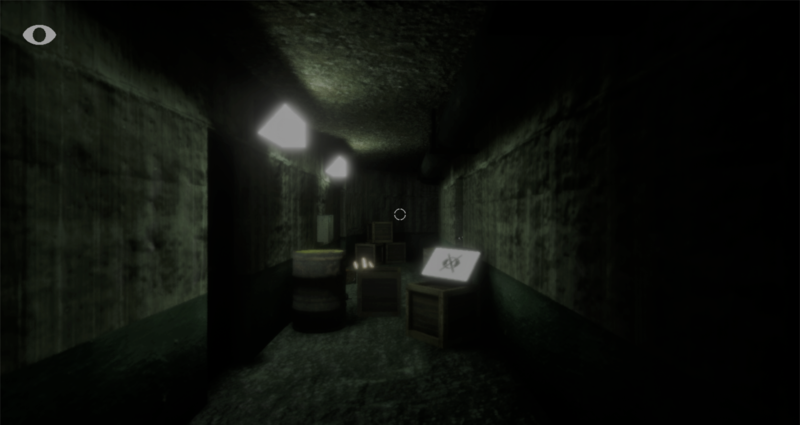 The game is mainly a puzzle-solving horror game. But the catch is that the puzzles in this game are actually very interesting to do, rather than collecting a few items and placing them in their proper locations. They’re difficult (but not too difficult), and will require you to think a little and use your best judgment in order to solve them. 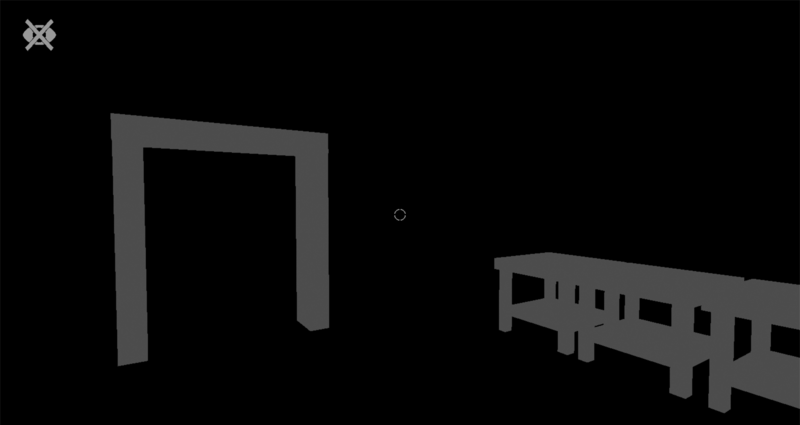 The puzzles are unique and very different for a horror game. They’ll actually require you to think and ask yourself what to do next. It’s not a “run and gun” kind of horror game where you can blaze across the level and dodge all the monsters. I got stuck several times and I absolutely hate backtracking in a horror game. It’s painfully creepy. As you navigate the research lab, you’ll run into various monsters that are on-the-prowl to hunt you down. When you encounter them, you can’t do anything but close your eyes. When your eyes are closed, they won’t attack you and also won’t chase you. This is your only way to survive and escape. You won’t be able to run nor hide. You can only use your vision as a defensive item. The vulnerability you feel when your eyes are closed and the anticipation of what you’ll see when you open them again is the scariest part of this title. The enemies are ruthless and show no mercy. Jumpscares and thrills galore. One of the motifs in this game is the “fallen or weeping angel” thing. The dev took this concept and gave it a huge twist that you’ll never expect. 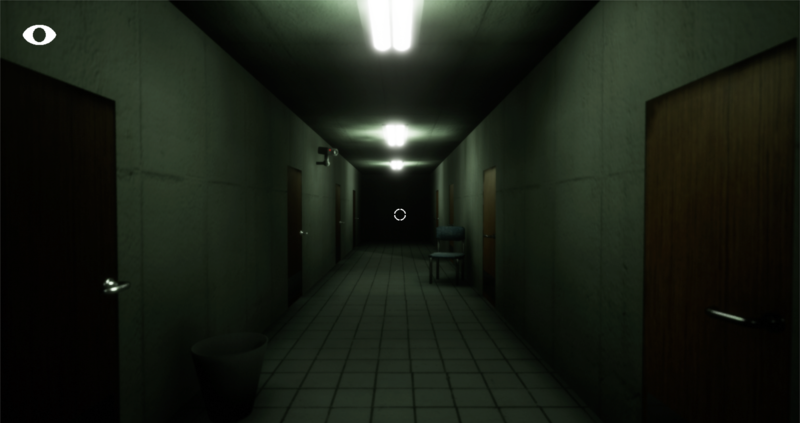 If you like indie horror games, try out Close Your Eyes. The environment is dark and claustrophobic. The eye mechanic is very well done. And the puzzles are unique and challenging. And the game is freakin’ scary. You don’t want to close your eyes on this title. Some areas can be slightly not that intuitive- I first thought it was a bug in the game! It’s free to play. You can download it using the links at the end of the post to check it out! It’s at the very end of the post (below the gameplay video). The green button that says “Play” will take you to the download page. Sorry if it’s confusing! We’re improving!